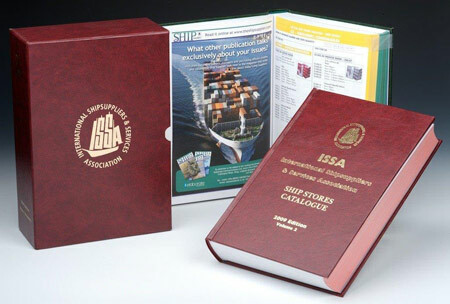 The ISSA Ship Stores Catalogue is published by the “International Shipsuppliers Association” in London. This technical Catalogue of products has been sold since 30 years to shipowners, ship suppliers and other companies allied to the shipping industry. Please contact the ISSA association office for further details.